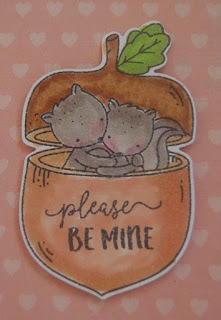 Not sure why squirrels were the animals used for these Neat and Tangled Valentine stamp and die sets, but they were so cute I had to use them for my hubby's Valentine's Day card. (Aren't squirrels hibernating during the winter?) I found the perfect woodgrain card stock ( Simple Stories) in my stash of Valentine papers. It was simple to stamp the images with Momento waterproof black ink and color them in with Copic pens. 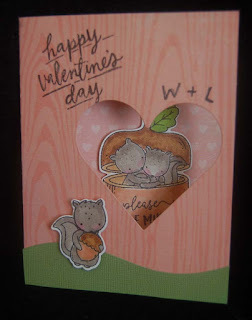 Using the matching dies I cut out the images and the heart shape with a Spellbinders die. The parts were adhered with double stick (Heiko) tape (pruchased at HM BFC) or foam sticky squares. 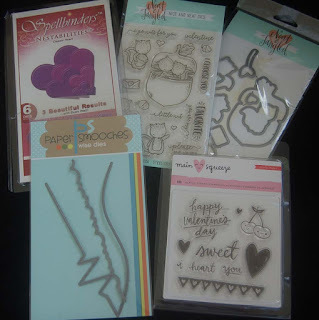 The sentiments were from a Crate Paper stamp set and the Neat and Tangled set. 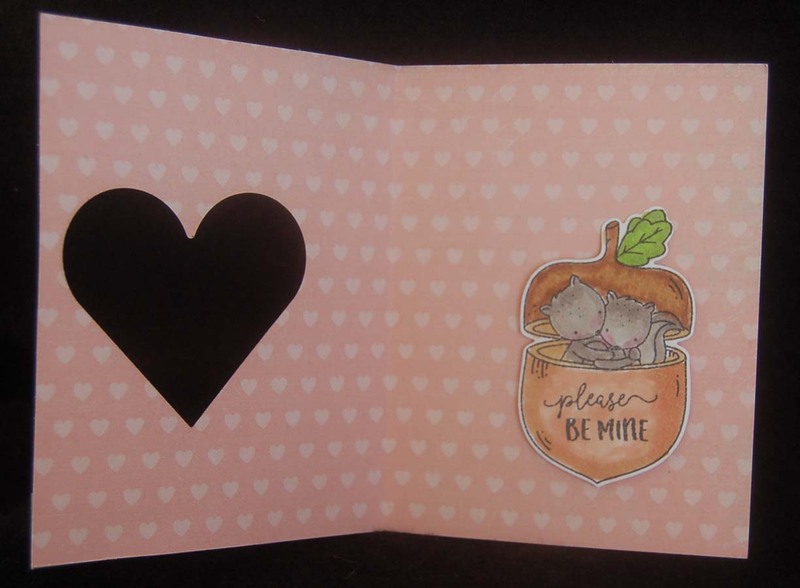 The green slope was cut with a Paper Smooches die. This card was very simple to create and turned out fairly close to what I imagined....so happy when that happens! 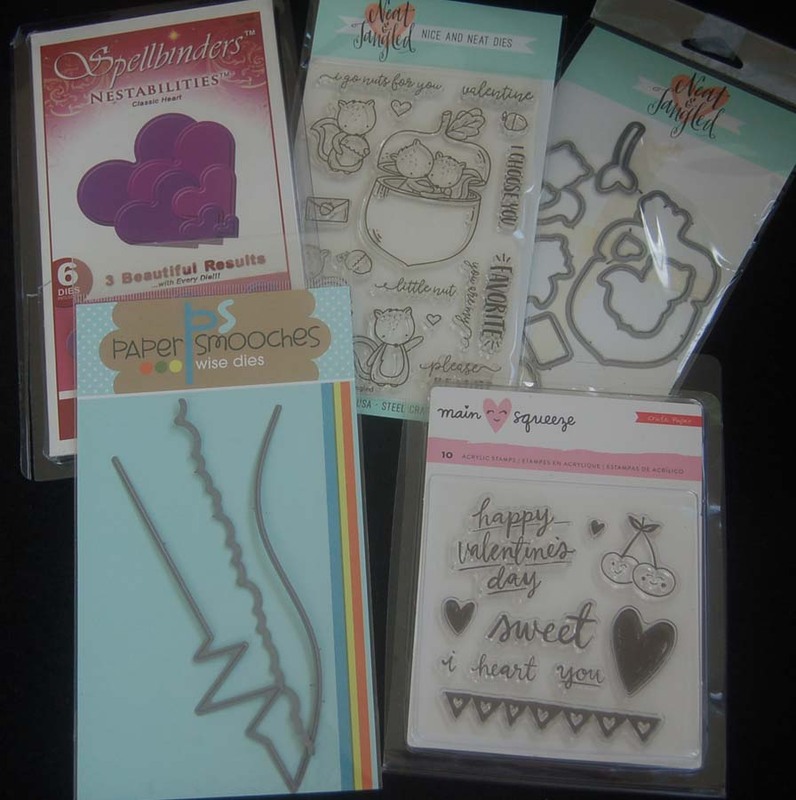 I hope you'll take the time to show your sweetheart(s) how much they mean to you and make them a handmade, heartfelt Valentine's Day Card. 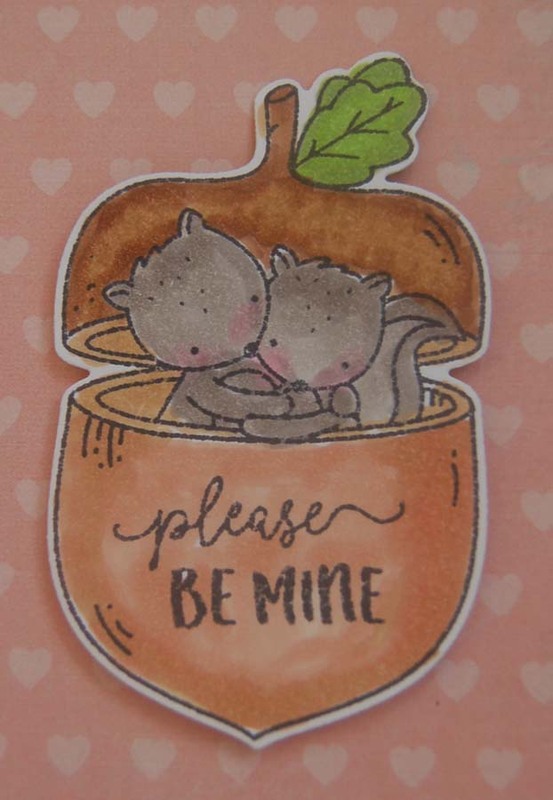 Send a little love today! Awww...! SO CUTE!!! I'm certain your hubby will LOVE IT!